Vinh Phuc (VNA) - The northern province of Vinh Phuc on March 28 called on its youth to join the national startup movement and contribute to promoting socio-economic development. Do Thi Thanh Huong, secretary of the provincial Youth Union, said the northern province had more than 300,000 young people aged between 16 and 30, accounting for 30 percent of the population and 47 percent of the labour force. Le Duy Thanh, Vice Chairman of the provincial People’s Committee, said the private sector was identified as an important engine of the economy, and favourable conditions would be provided to promote its development and enhance the economy’s competitiveness. 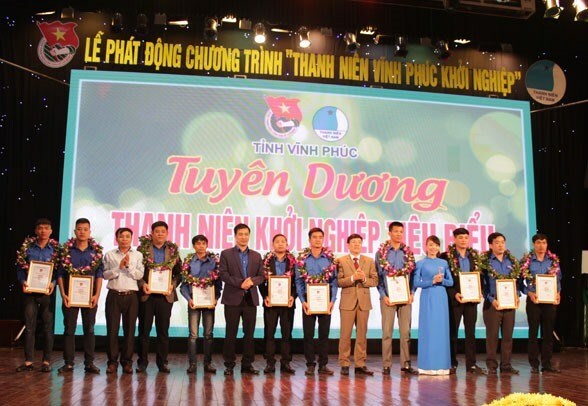 Thanh said it was a good time to launch startups in Vinh Phuc province where the local authorities were aiming to provide support in terms of capital, land and policies to encourage the youth. “Both the youth and enterprises play very important roles in the province’s development and the combination will certainly bring better results,” Thanh said. Vinh Phuc currently has some 7,000 businesses and the figure is expected to increase rapidly in the future, according to Thanh. According to Pham Ngoc Tuan, deputy head of the National Startup Programme’s Organisation Board, the Government of Vietnam was striving to build a startup ecosystem with the issuance of a resolution in June last year. In 2017, the National Startup Programme will focus on connecting startup businesses to venture capital funds, associations and incubators to help them overcome initial difficulties. At the event, a council of startup mentors were introduced, which aimed at selecting feasible startup projects and nurturing ideas to build a young entrepreneur community in the province.